Oscar was our first disciple. We started working with him 5 years ago with the intention of him becoming a church leader. He has grown in the Lord more than the others as he daily reads his Apurina Bible and prepares for his weekly services in the main Church. Analucia has been a strong woman of God since we met her. She currently leads the women’s study which meets every Friday afternoon. 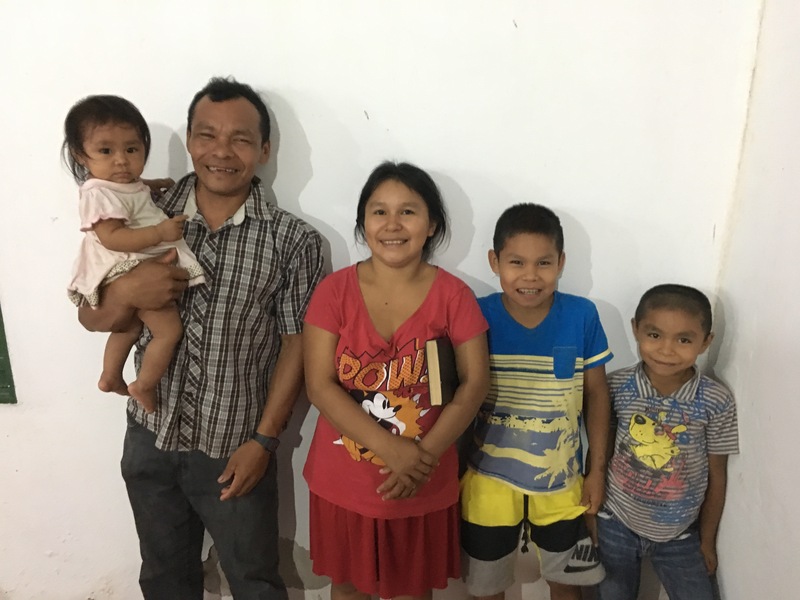 Oscar and Analucia have 5 children; Josue, Ocimar, Risomar, Odivo and Railani. The three youngest are pictured above. They are the first missionaries from the Church in Vila Nova. Later this year they plan to head up river to Village Popunha and start teaching and preaching the word of God. They need support. We are teaching the local Church of their need to support their own missionaries, but they will still need more. How much? $200 U.S.D. a month would completely support them. Would you adopt them and support this new work of God? Please contact us and let us know. You can start your support today by clicking here Donate Now. Let us know you are specifically donating to support them and we will ensure your support will get to them on a monthly basis and that you receive regular updates of their progress. God bless you as we work together in the Kingdom of God, fulfilling the commands of Jesus to “go and make disciples of all nations, baptizing them in the name of the Father and of the Son and of the Holy Spirit” Matthew 28:19.